Home Your medical guide	Are you allergic to these? Almost everyone is allergic to something. Sometimes, it can be the most unexpected thing that triggers off an allergy. The worst thing is when you have no idea what could be causing it. Because if you did, you’d avoid it, right? 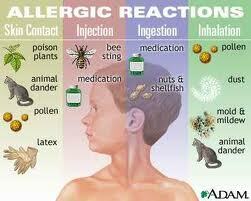 It could be something in the air or food or another substance that might be causing severe allergic reactions. It is important to explore and be aware of what it is, since allergies can cause serious respiratory problems like asthma and other diseases. Symptoms may vary, but the constant exposure can weaken your immune system, making it overreact to even regular things. Mold can cause allergies that manifest in the form of sneezing, a runny nose, congestion, and itchy eyes that refuse to subside. Mold is usually resident during summer in rotting wood, fallen leaves, grass, grains, and dying plants. Mold also resides in moist areas inside the home, particularly in the bathroom, kitchen and basement areas. It spreads through spores and happily makes its way into your nasal passage. All the time. Try and avoid being outdoors during late summer, as tempting as it might be, because mold is at its worst at this time. If possible invest in air filters in your home’s indoor vents. These are the bane of every household. These insects thrive on dead skin shed by us on a daily basis. And it is not really the mites that are the culprits, it is their waste. Mostly found in the bedroom, these mites live in pillows, blankets, curtains, and upholstery. If you are allergic to these, avoid the downy pillows and other bed linen. Vacuum and wash bedclothes often. Pollen is rampant in the air, causing hay fever. While they do the job of fertilization, the pollen in the air settles on humans, causing allergies. This is worst in the early morning. If you suffer from this, you may need prescription medicine or over-the-counter medication to bring on relief. Pets are great, but their dead skin, saliva, and urine cause severe allergies in those with highly sensitive immune systems. The dander enters the lungs, causing wheezing and other pulmonary diseases, and result in chronic asthma. Natural rubber products like adhesive bandages, latex gloves, condoms, and balloons are made from rubber trees. The protein content in the rubber is known to cause allergies and skin rashes. This is followed by a stuffy nose, sneezing, itchy eyes and skin. Use nonlatex substitutes for these products. Here, wasps, hornets, bees, and fire ants are culprits. Their defense mechanism makes them secrete toxic venom when they sting. This results in itchy swollen skin the first time. Subsequently, it can cause a total body reaction that could result in a swollen tongue, dizziness, difficulty in breathing and maybe a heart attack. You’ll need emergency treatment in this case. Seafood and shellfish are the most common causes of food allergies. The reactions can be in the form of hives, eczema, asthma, digestive problems, and anaphylactic shock. If you are allergic to fish, don’t forget to be wary about fish by-products which is found in foods, medicines, cosmetics, and lotions. Make sure you pay attention to the labels on these. Soy comes with great benefits but not for everyone. Some people are allergic to soy protein and experience hives, eczema, asthma, nasal inflammation, and anaphylactic shock. Watch out for foods that contain soy. Examples are tempeh, miso, and tofu. Peanuts are yummy. But can cause allergies too. They are found in a variety of foods like soups, baked goods, and cereals to ice cream and energy bars eczema, hives, asthma, and anaphylactic shock. Those allergic to peanuts must always be careful. Protein allergy can also include milk. Many children under three years are allergic to milk, although most get over it later. Derivatives of milk proteins like casein and whey are commonly found in other products as well and people with a milk allergy must be careful of these, too. While some people show an allergy to egg yolk, some are also allergic to the white of the egg. This is because of the protein content. Egg allergy symptoms can be in the form of hives, eczema, asthma, digestive problems, and anaphylactic shock. You’ll find eggs as an ingredient in many foods like baked goods, pastas, cereals, condiments, soups, and beverages in addition to cosmetics and drugs. How to avoid? Be careful by reading labels for any suggestion of eggs. Penicillin allergy is common, too. This antibiotic is used to treat many bacterial infections. The allergy is caused by the immune system’s reaction to the drug. Symptoms such as hives, eczema, asthma, swollen lips or tongue, and anaphylactic shock show up within a few minutes of taking the medicine. Sometimes, it can take a while. 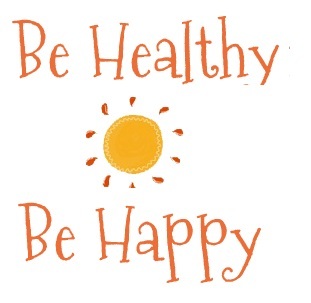 Take care to see that you’re conscious about what you eat and come in contact with. If you develop an allergic reaction, be suspicious of new things you’ve been exposed to.